Planet Happy Smiles: Pick 3 ~ October Fun!!! Pick 3 ~ October Fun!!! There are so many great ideas out there for the month of October! Here are a few that we LOVE! We can't do Halloween in our school but we love decorating at home and creating for others. 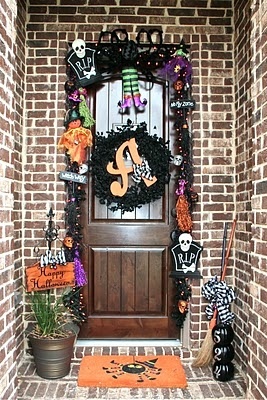 Door ideas ... My door is a great beginning but these are AWESOME! Back to Hobby Lobby, Dollar Stores, and Michaels. What a bunch of fun games at this site! 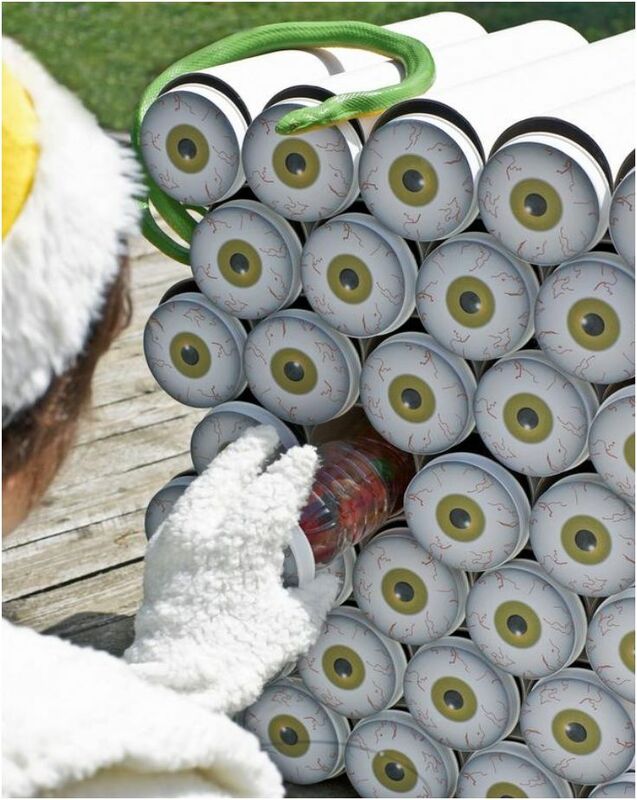 Kids would love this! I could see this in a public school as a fun reward system. All you would need to do is change the fronts! 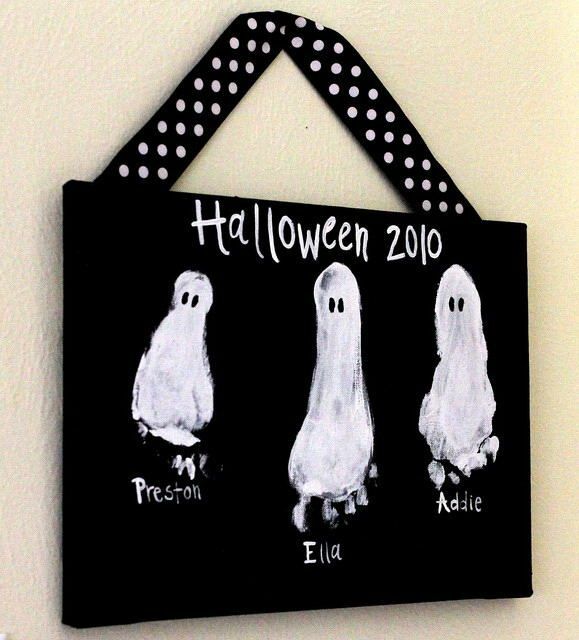 I am going to do this with my own family. My kids are growing so fast! This is a great way to look back for years to come! Have a very HAPPY October from Planet Happy Smiles! Check out all of these other AWSOME blogs to see their top picks! Happy October! Collection closes in 27d 17h 50m. Let other people know about it through twitter. The ghost footprints are adorable. I so need to do this with my children. It would be a great decoration to hand up each year. 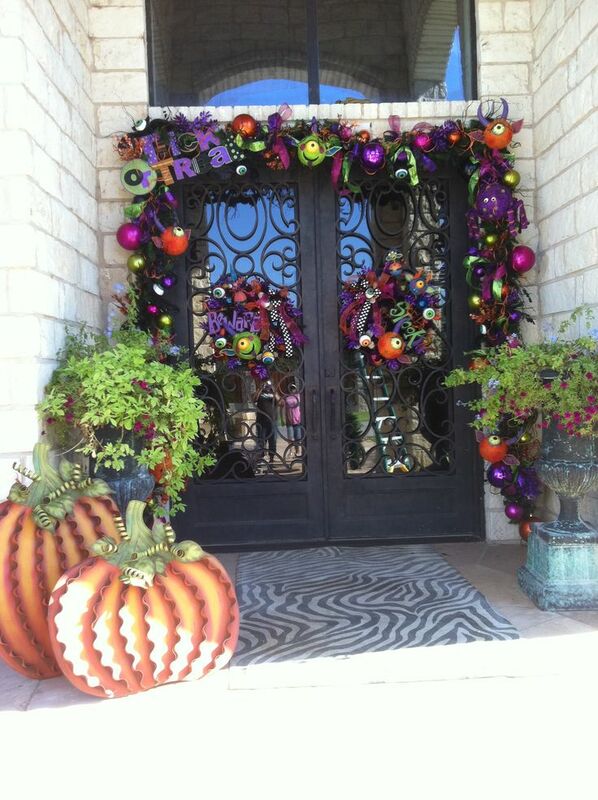 Amazing ideas for your front door! I'm lucky to get a pot of mums on the porch and a wreath on the door....but I would love to come home to a gorgeous door like one of those! 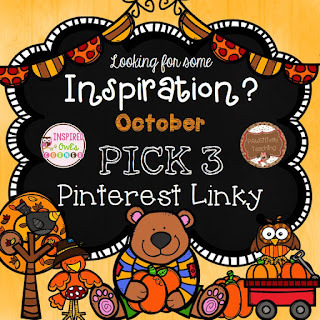 Thanks for linking up and sharing such great ideas for October! Please subscribe to our mailing list & you will receive freebies sent directly to your email!